Stephen has spent his life dedicated to the field of global conservation and most recently joined the Wildlife Conservation Society in 2016. Whether trekking mountain gorillas in Rwanda or whale watching in Antarctica, Stephen is a passionate advocate for wildlife and the wild places they inhabit, particularly for Africa. He received a degree in anthropology and environmental studies from the University of North Carolina at Chapel Hill. He is a returned volunteer with the United States Peace Corps where he served in Ghana, West Africa. Before moving into the role of Vice President of Individual Giving at Wildlife Conservation Society, Stephen was Senior Director with the African Wildlife Foundation. Stephen also spent years as a special assistant working alongside Dr. Jane Goodall. When not looking for leopards, Stephen lives in the New York City area with his wife, two daughters and pup Daisy. American actor, director, producer, and writer, Joe Reitman’s long list of achievements in television include roles in Happy!, Ray Donovan, Law & Order: SVU, Married with Children and NCIS: LA, as well as directing The Craig Ferguson Show. His notable film credits include Money Monster, The Perfect Storm, Jay and Silent Bob Strike Back and Clueless. Born in Brookline, Massachusetts, Joseph grew up breakdancing on the streets and helping to run his parents’ business Brookline T-Shirts & Jeans. Music, entertainment and sports were a major part of his school and college life at Pitzer College in California where he majored in theater. Though never a singer, he auditioned for the Royal Academy of Music on a bet and was accepted. Joe also founded Animal Avengers together with Shannon in 2001. Outside of his successful acting career, Joe enjoys speaking at high schools about the importance of being able to write, cruising on his Harley motorcycle, playing video games and hanging out with his rescue dogs. In his downtime, he teaches acting in Los Angeles whenever possible. With over 23 years of investment experience, Jeff Tutor and his team of associates joined the Tutor Group in 2016 and serve as the primary consultant of many significant relationships across the country. The Tutor Group maintains a focus on wealth preservation and appreciation through discretionary portfolio management, financial planning, and customized investment solutions to allow entities and individuals mobilize their resources and maximize their impact. Along with his extensive experience in the handling of mergers and acquisitions, capital raises, private equity, and venture capital, Jeff also specializes in working with athletes, members of the entertainment industry, endowments, non-profit organizations, and private family offices. Prior to joining Stifel, Jeff spent several years as a senior financial advisor at Merrill Lynch and UBS. He holds a B. A. in Political Science and Economics from the University of Detroit Mercy and sits on the board as a consultant of several organizations and charitable foundations. Multi-talented Allyson Spellman is a US TV personality, empowerment speaker, spokeswoman, Ms. New England States and is currently a show host at JTV Jewelry Television. As a lifestyle reporter she has appeared on more than 40 network TV stations nationwide. While working in various capacities in the Broadway, television and film industry Allyson has also built a highly successful business and multi-media platform empowering women to follow their dreams through personal coaching, workshops and motivational speaking. She is passionate about giving back to society and making socially conscious decisions in her everyday life. Allyson has been devoted animals and their well being all her life, but says that meeting Shannon changed her life, inspiring her to become an even louder voice for those who have none. After they met she knew there was no turning back or sitting on the sidelines any longer – she is committed to Animal Avengers and being active in saving our wildlife from extinction, suffering and abuse. 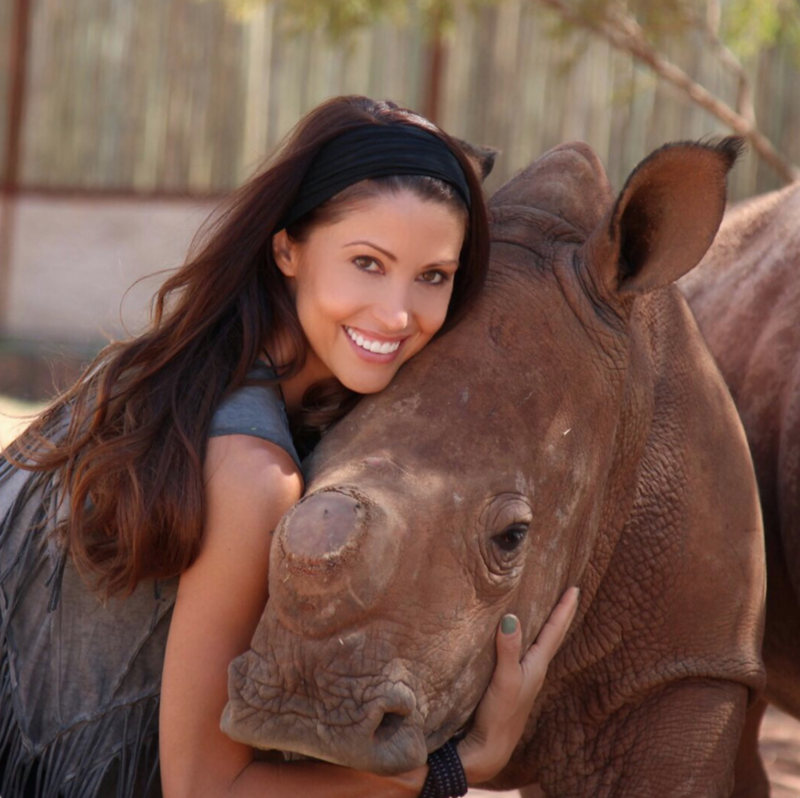 Her goal through her work with the Shannon Elizabeth Foundation is to create a ripple effect of positive change to influence people in the present and for future generations to honor our animals and the environment. Norman Yatooma, a graduate of Taylor University, founded Norman Yatooma & Associates P.C. (NYA) in August 2000. In the intervening years he has built NYA into a preeminent and nationally recognized full-service law firm, representing hundreds of corporate and individual clients on a domestic and international level. He is also a certified lobbyist, and as a Director of Charities Advocating Responsible Solutions, Inc., he has worked to oppose legislation that would have had a significantly negative effect on charitable giving. Norman is involved in many charitable organizations, including being Founder and President of Yatooma’s Foundation For The Kids founded in the name and memory of his late father. In addition to serving on the boards of many other charities, Norman conducts regular public speaking engagements for community groups and not-for-profit organizations. He has frequently been commended for his accomplishments in national and global media, including interviews by 60 Minutes, The Wall Street Journal, The New York Times, CNBC Business News, Newsweek, Bloomberg News, and many others. Above all, Norman states that his greatest accomplishment is being a loving husband to his wife Nicole, his sweetheart since elementary school, and proud father of four, Olivia, Gabriella, Sophia and Ava. And the achievement of which he is proudest? “Having four daughters and having them all look like my wife,” he quips.